There are not many places on Earth as unique and beautiful like Cape Town. It is a place like no other town I have seen. Wherever you go, you can't escape its most famous sight, probably the most characteristic gift we have ever received from Mother Nature, Table Mountain. If you ask me, the mountain must be a lady. A damn fine one. On bad days she hides and won't share her beauty with us, covered in a coat of clouds. But on good days, when she decides to take off her jacket of fog and clouds, she becomes the queen of Cape Town. But Kaapstad isn't only the place where the oceans clash. 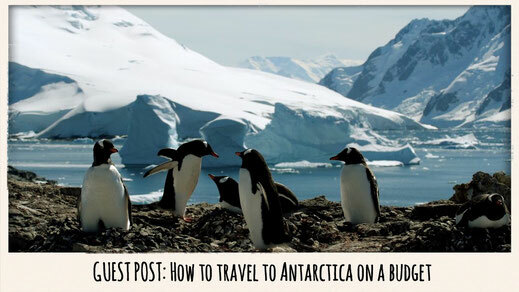 Apart from its natural wonders, it offers so much more. Let me take you on a trip from Cape Town to the Cape of Good Hope and back, one of the most amazing things you can do on a great sunny day. Get yourself a scooter and go for a trip you won't ever forget! What to do in Cape Town? Here is the solution for your perfect day! Get yourself a scooter and pack your bag! This is a fairly easy task. Many places in Cape Town rent out nice scooters for the day. I hired mine at the guys from scootdr and everything worked out easy peasy. I got unlimited kilometers and they also provide you with a helmet and insurance. The price for one day (24 hours) is 250 Rand. The scooter rental opens at 7.30am so try to be there by 8am. Once you've paid and received your scooter you can go. It's a day trip and you should plan accordingly. If you believe in Google Maps, the route from the city all the way to the Cape is 71 kilometers and if you drive non-stop you get there within 90 minutes. But I personally don't know a human being who can sit on a scooter for longer than 20 minutes straight haha. Anyways, plan a couple of stops and don't make any other plans before 6pm. Okay let's get started! 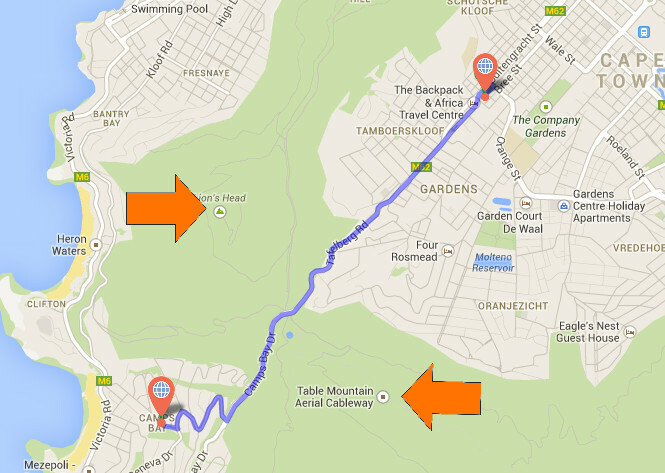 Route: Cape Town to Camps Bay. Highlights: Lion's Head and Table Mountain. Camps Bay white sand beach. It's very scenic and it's like driving through a gate. The magical Lion's Head to your right and beautiful Table Mountain to your left. A perfect farewell for a great adventure. 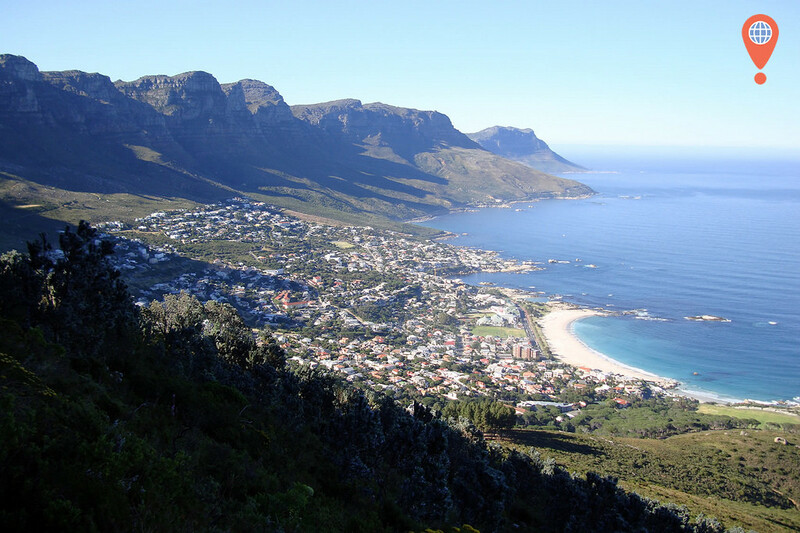 Now we head straight for Camps Bay, Cape Town's fancy side. Known for its trendy nightlife and stunning white sand beach. You will also find some funky restaurants and pubs. In summer you might have a quick dip and a little refreshment and in winter you better carry on to escape the sharp winds coming from the sea. 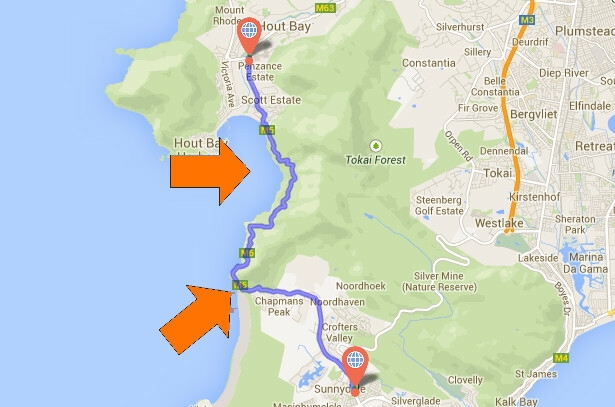 Route: Camps Bay to Hout Bay all the way along Victoria Road. Highlights: Mark the barista and his mobile coffee shop, The 12 Apostles. After exiting Camps Bay you will take a long turn facing the 12 Apostles and find a little parking bay and a little lonely coffee shop. Next to it is a really tall dude with long blond hair wearing a cowboy hat. He reminded me a little bit of Crocodile Dundee. Anyways, I was curious and I stopped by and had a chat. He is a South African who spent half his life in Canada and he loves to surf. In the morning he runs his little coffee place and in the afternoon he does what he loves, surf. His coffees are really good and I really enjoyed the chat. Make sure you stop by. Once you enjoy your coffee pay some attention to the so called 12 Apostles, the peaks surrounding the area. I'm sure I counted more than the actual 12 but that doesn't really matter haha. 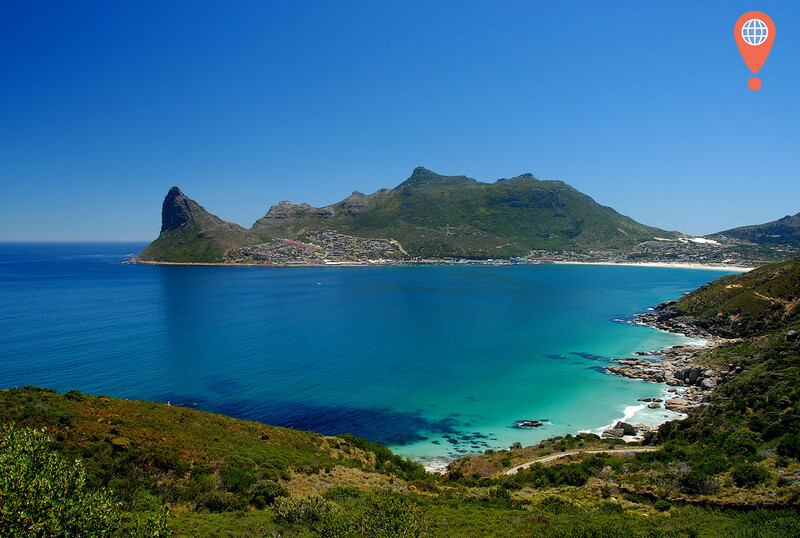 Now get ready for a long drive along the scenic coast all the way to Hout Bay. 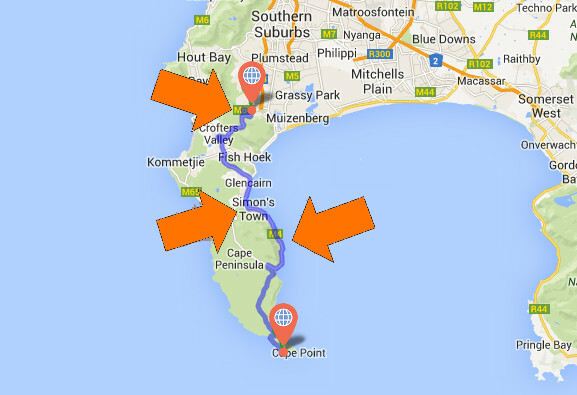 Highlights: Hout Bay and the Sentinel Hill, Chapman's Peak drive, maybe some whales too. 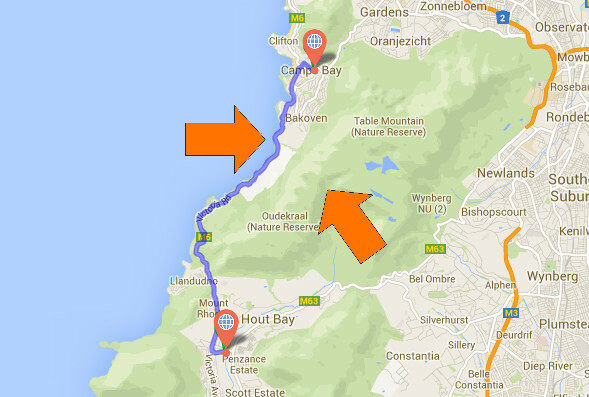 You have to drive through the little town of Hout Bay to actually get to Hout Bay itself. You will go for an amazing drive called the Chapman's Peak drive, a mountain road between the mountain and the bay. It's a really stunning drive with lots of lookouts. During the season you also might be able to spot some whales. Take a few stops on the way and take heaps of photos. It's an awesome adventure and a fun drive too, especially on your scooter. The last bit will be a bit of a challenge, although not if you love endless beaches. 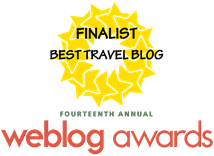 One highlight is Scarborough beach. It is an absolute paradise for surfers and is just so isolated. It's a great spot during the summer and the view is just stunning. From now on the street will take you straight to the Cape. You won't see many populated areas any longer. If you're lucky, you get to spot some of South Africa's amazing wildlife, such as ostriches.. baboons you will encounter for sure. My advice, stay away from them and leave your sandwich in your bag otherwise they will try to get it. Once you arrive at the Cape you should of course have your photo in front of the sign. 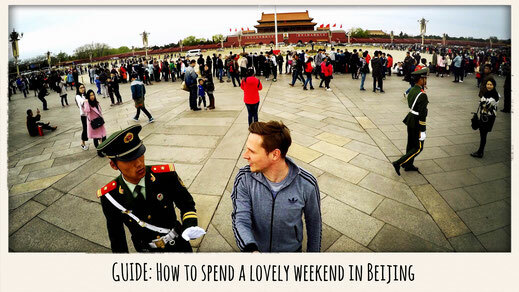 Have a little wander around and take a lot of snaps. There is something you need to know and I know the truth hurts. 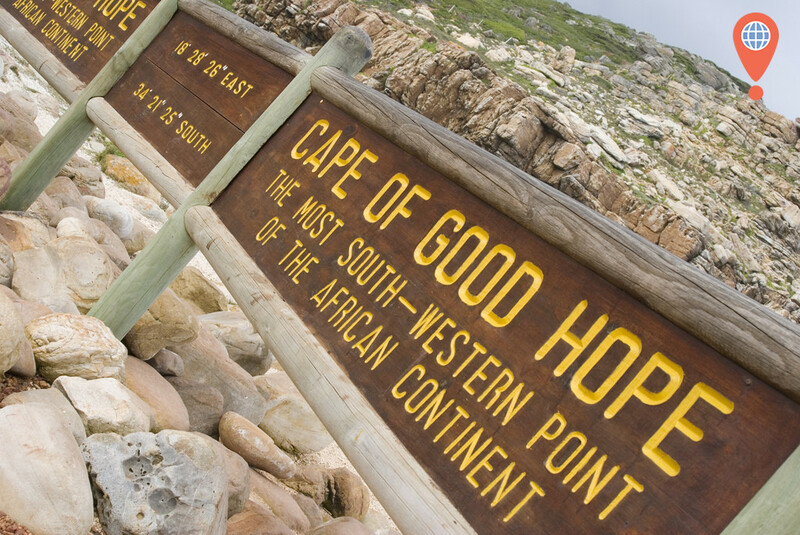 Buuuut the Cape of Good Hope is unfortunately not the most southern tip of Africa. Neither do the oceans clash there. That's Cape Algulhas. Highlights: False Bay, Simon's Town and Muizenberg. After leaving the Cape it's time to race your friends. 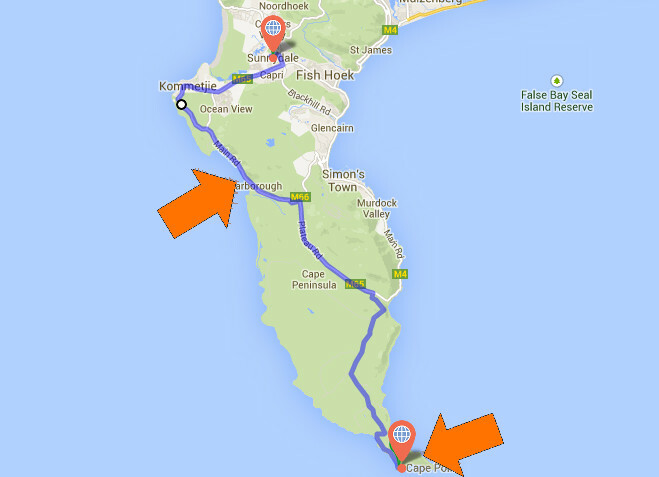 There is no better road to do so than the one leading you straight to Simon's Town. You'll get to enjoy an amazing view overlooking False Bay. 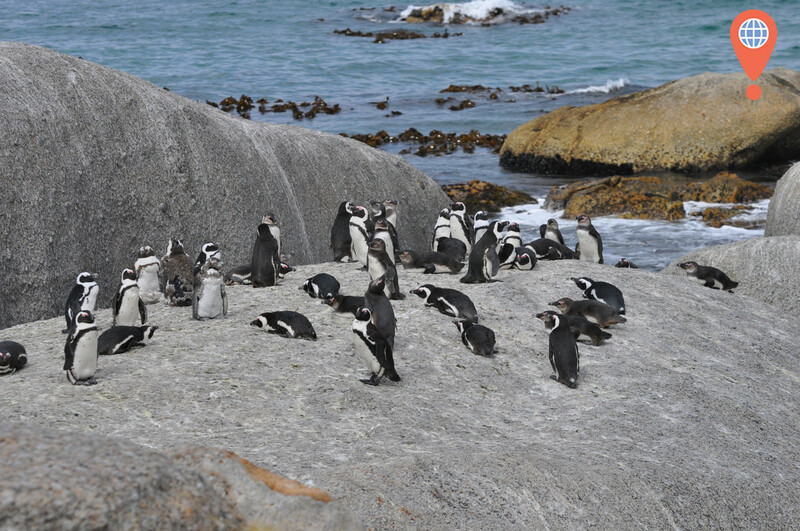 While you are on your way to Simon's Town you might bump into some penguins, because that's what the town is known for. At least many signs will remind you of the little birds. Have a little break and enjoy a coffee or have a proper lunch there. It is a really nice town and you will love it. The next highlight is Muizenberg, it is not only a nice drive but also another nice view overlooking the suburbs of Cape Town. 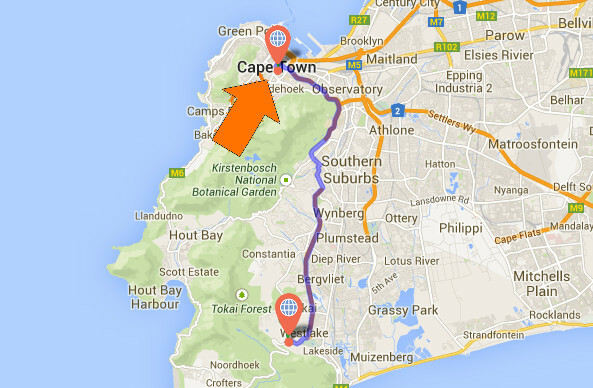 The last part of the trip is filled less of nature but more with the suburbs of Cape Town. It's actually nice to see what is happening on the other side of the Table Mountain. If you still have time you should check out Constantia with its lovely vineyards. Once back in Cape Town there are many other things to see. 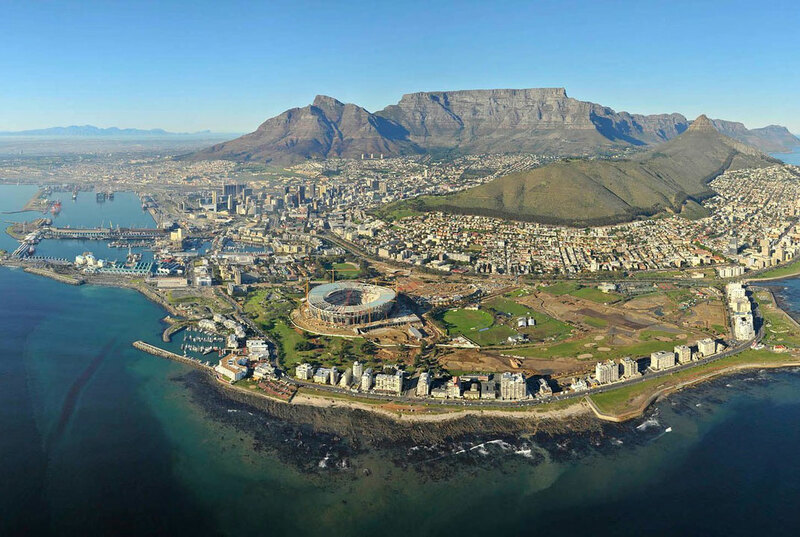 Here is a list with the things you should do while in Cape Town. WHAT DO YOU DO IN CAPE TOWN?